Home / news / Common iPhone Problems that Can Be Flawlessly Restored Taking the Help of Azusa iPhone Repair Professionals!! The iPhones are well-engineered and delicate smartphone model. People having iPhone need to handle it with intensive care in order to avoid having damages into it. But despite of trying immensely, there remain chances that your iPhone suddenly experience a breakdown or starts malfunctioning. Here is when you need the help and assistance of an iPhone repair company. The iPhone repair companies offer their expert services and help restore the damaged iPhone back to normal working condition. The iPhone’s screen is designed with some degree of damage resistance in mind, but this does not mean that it is indestructible. Most of the times, the screen of the iPhone remain most prone to damages. The iPhone repair professionals very commonly experience getting iPhones with damaged screen glass. In most cases, the iPhone screen glass gets damaged because of dropping from the hand on a hard surface or due to some other reason. A company offering professional iPhone repair services can help you by making repairs to the screen if the damage is minor or by replacing it entirely, in case, the damage is major. You can get brilliant iPhone glass repair services from the Azusa iPhone repair service providers. The Azusa iPhone repair professionals provide the most impeccable broken screen repair services. If you are looking for a competent iPhone repair shop, then do consider taking the assistance of the iPhone repair professionals of Azusa gadget repair stores. Your iPhone’s home and power of side volume buttons are made up of several mechanical components working together to ensure proper function. These components are prone to wearing out over time and may also get damaged by accident. If you notice that you must press a button harder than usual or try several times before it works, it is a good sign that your iPhone needs some repair work done on it. If your device is out of warranty, the good news is that replacing or repairing the buttons is usually a simple fix that does not cost too much, if you hire the services of the Azusa iPhone repair shops. The Azusa iPhone repair professionals flawlessly repair or fix the buttons without taking too much time or facing too much inconvenience. Just like any rechargeable battery, the one inside your iPhone will start wearing out from the moment you first using your mobile device. This becomes apparent after it goes through several hundred charge and discharge cycles and you notice that it just does not seem to last as long as it used to. In that case, the solution is to have the battery replaced with a new one. You can get proper guidance with regard to this problem from the Azusa iPhone repair shops. The Azusa iPhone repair shops offer competent compatibility test for the battery causing trouble. This helps you to get proper diagnosis of your gadget and help avoid complete ruining of it. While the various jacks, ports, and connectors on the iPhone have evolved in terms of type and design, there is still one thing they all share in common and that is the potential to malfunction. It is not uncommon for a charge port, dock connector or headphone jacks to start having troubles after your phone has been used for several years. Repair technicians can make adjustments to internal components that may have come loose with time or replace certain parts when necessary to fix the issue. 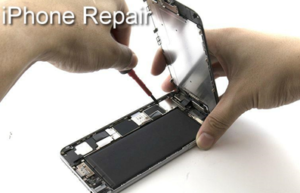 You can take the flawless repair services of Azusa iPhone repair companies. So, if you have any of the above-mentioned troubles with your iPhone, then get in contact with the professionals of Azusa iPhone repair shops today! !